The last winter task day in the wood, run by Warwickshire Wildlife Trust. 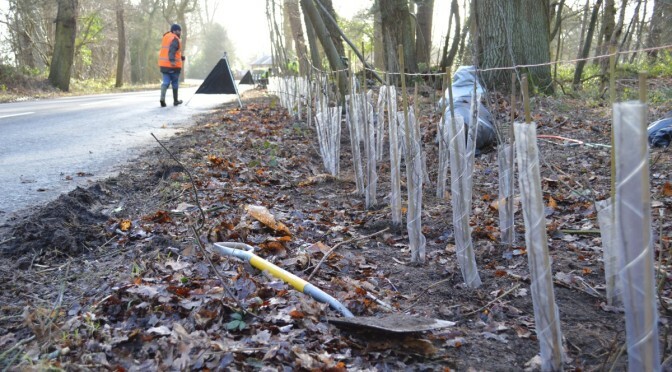 We will be hedge planting this Sunday, a task previously deferred because of the cold weather. Meet at the loading bay off the Banbury Road at 10:00. We will finish by 13:00. If you can, let George Green know if you plan to attend so he has an idea of numbers. Please note that if you haven’t already registered as a volunteer with WWT then you must do so before the day by contacting George, or you won’t be able to take part. As always, wear suitable clothing and boots/sturdy footwear.